White walls on the outside and wood on the inside characterise the new nursery school in Valdaora di Sotto designed by Feld72 to replace the existing nursery school in the town centre. Feld72 captures the architectural heritage of the Pusteria Valley and the region of Alto Adige in a functional, symbolic building. 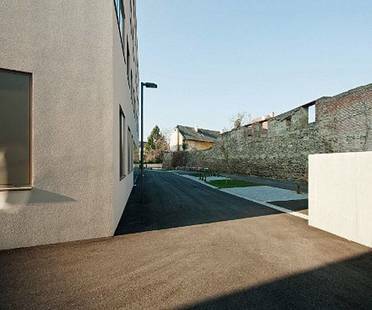 The architecture gallery in Berlin presents an exhibition focusing on AllesWirdGut, an architectural studio founded by Andreas Marth, Christian Waldner, Friedrich Passler and Herwig Spiegl. The second in the Architecture + Photography series of exhibitions features buildings photographed by Iwan Baan, Jan Bitter and Hertha Hurnaus.